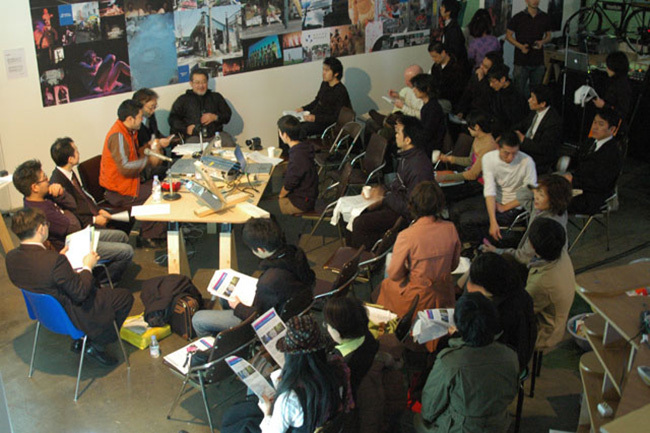 HOME > SCHEDULE > Symposium of Artist representatives from East Asia.Tokyo Biennale? : The challenge towards an alternative international arts platform!" Symposium of Artist representatives from East Asia.Tokyo Biennale? : The challenge towards an alternative international arts platform!" This symposium brings together leading members of alternative spaces from around East Asia, representatives of a new age of independent arts spaces which actively engage community and social issues, joining in a discussion examining the potentials of new forms of network and collaboration, together with alternative approaches to the format of international exhibition. Admission: 500yen Reservations not required.